Fall 2017 Edition - Support for Early Childhood Educators and Providers as they Implement the Goals of the Family Engagement Framework! 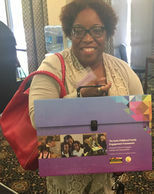 At this year’s Family Engagement Summit, Maryland educators and child care professionals learned about the importance of supporting families and their children. Read More. Ready At Five will host the School Readiness Symposium: "Equity in Literacy Must Start Early," featuring Dr. Nell K. Duke. This event will be held Thursday, Dec. 14, 2017 at the Turf Valley Conference Center. Register NOW. ReadyRosie, a family engagement program designed to help children from birth to age 5 become better prepared for school, is now FREE for participating Maryland families. This fall, Dorchester, Somerset, Washington, Wicomico, and Worcester counties all launched the program. 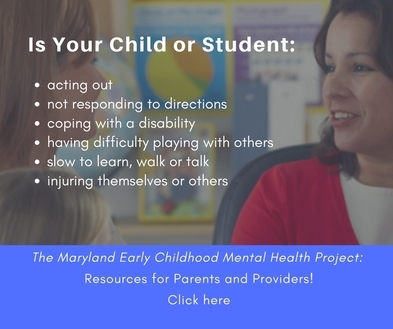 In July, the Howard County Early Childhood Advisory Council, which is led by HCPSS and the Howard County Office of Children and Families, unveiled its Launch Into Learning campaign. Read More. Take a moment to enhance and improve your current family engagement practices. Click here to take a self-paced two-hour online module that will walk you through the process of moving from family involvement to family engagement in your program. The busy holiday season has begun! It can be lots of fun; but also very stressful for families. Check out The Foundations of Early Learning blog for great articles to help reduce the stress. Submit Your Story to The Toolkit "In Action"
How do you engage parents and families in your program’s learning community? Send an e-mail to early.engagementmsde@maryland.gov to submit your family engagement special events or programs. Although the focus was on bedtime, there were no pajamas, lullabies or nightlights at the Little Flowers Early Childhood and Development Center, Inc. in Northwest Baltimore. There were, however, a group of parents and a special stack of boxes. Read More. The Family Engagement Toolkit was designed to support all early childhood educators and providers as they implement the goals of the Early Childhood Family Engagement Framework: Maryland’s Vision for Engaging Families with Young Children. Click here to download the FREE Toolkit! The Judy Center Partnership held its quarterly meeting in September at the Loyola University Maryland Graduate Center, Columbia campus. 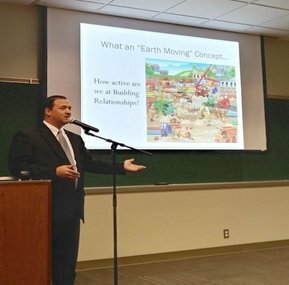 Prince George’s County Public Schools Cool Spring Elementary School Principal Cameron Millspaugh delivered a thought-provoking presentation entitled, “Under Construction: Building Relationships,” that focused on family engagement. Principal Millspaugh addressed both the challenges and benefits of implementing effective family engagement initiatives. Note: The Judy Center grant will be changing to a competitive grant for FY19. Technical assistance will be available starting January 2018!